In researching the lives of the Camp 020 interrogators, it is always nice to across an individual with a rich history. 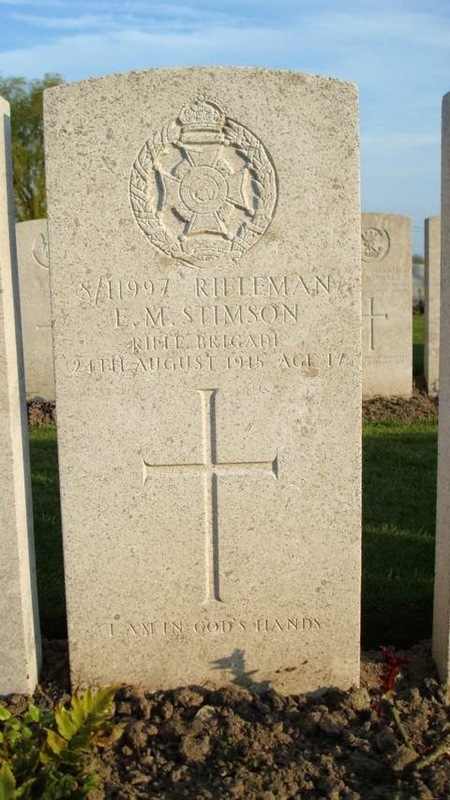 Such an individual is Douglas Bernard Stimson, "Stimmy" to his colleagues. Although technically not an interrogator, Douglas was in charge of Administration at Camp 020 and had interactions with the prisoners. Douglas was born on 23 October, 1897, in the Parish of Kew, Greater London to William Adolphe Stimson and Ellen Beatrice Phillips. William and Ellen had married in London in 1892 and Douglas was their third child. As fate would have it, Douglas and his older brothers (Montague Adolph and Eric Malcolm), born in the late 1890s, were all drawn into the maelstrom of World War I. But before that happened, Douglas would have a pleasant childhood growing up in Richmond, southwest of London. 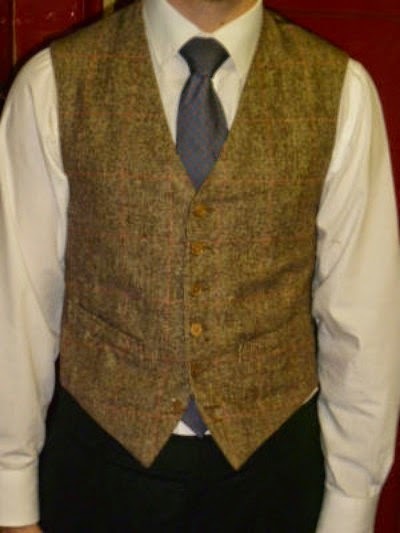 William was a Master Tailor and the family was evidently well-off with a Cook and Nursemaid as servants.In 1911, Douglas was attending school in Swaffham, Norfolk but may have apprenticed as a tailor prior to the war. As war broke out in Europe, all three brothers enlisted in the British Army. 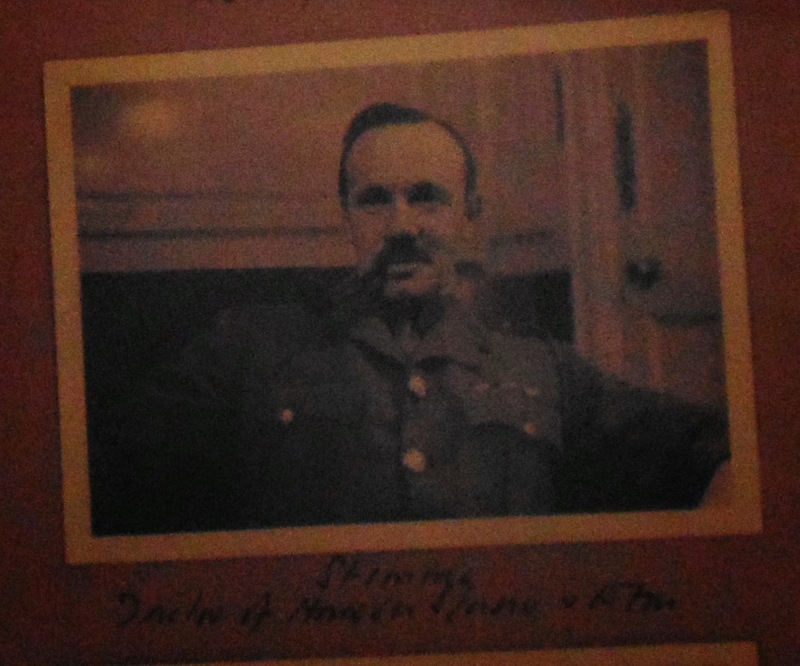 Montague joined the Honourable Artillery Company (HAC) on 5 August, 1914, as a private. Douglas, despite being only 16 years old, managed to follow in his elder brother's footsteps and joined the same regiment in the fall of 1914. Eric marched to a different beat and was initially assigned to the 7th Reserve Cavalry Regiment for training purposes before ending up with the 9th Rifle Brigade. On his application, Eric stated that he was a tailor and claimed to be 19 years old. He was, in fact, only 17 years old when he enlisted, having being born in the fall of 1896. His eagerness to join up would be short-lived. On June 30, 1915, Eric disembarked with the 9th Rifle Brigade in France. Less than two months later, on 24 August, Eric died from wounds sustained in battle. Montague initially served with the 1st Battalion of the Honourable Artillery Company and was sent to France on 18 September, 1914. He was commissioned into the 10th Battalion East Surrey Regiment on 9 March, 1915 as a 2nd Lieutenant. He was killed on the Somme on 30 September, 1916, while attached to the 8th Battalion Easy Surrey Regiment. Douglas initially served with the 2nd Battalion of the Honourable Artillery Company. 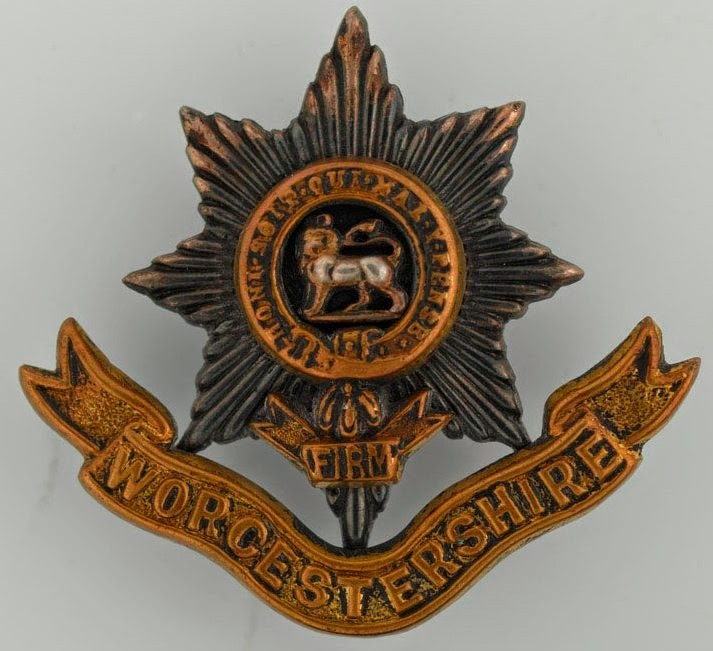 He was later commissioned into the Worcestershire Regiment and arrived in France on 18 August, 1915. Douglas was eventually commissioned as a Lieutenant in the Worcestershire Regiment on 12 May, 1917. On 1 July, 1918, Douglas was promoted to Acting Lieutenant while commanding a company at the Reserve Battalion Depot of the Royal Army Medical Corps. Douglas had survived the war but the cost had been high, with both of his brothers paying the ultimate price. In 1922, Douglas married Lydia Stephens (née Baker), the widow of 2nd Lt. Thomas Alexander Stephens of the Royal Engineers. Douglas and Lydia had at least one child with a daughter, Lydia J. Stimson, being born in 1924. That same year, on 29 February, 1924, Douglas' father passed away leaving a estate in excess of £50,000, as well as a flourishing tailoring business. Douglas picked up the reins of W.A. Stimson Ltd, Hannover Square and continued to run the business until 1940. 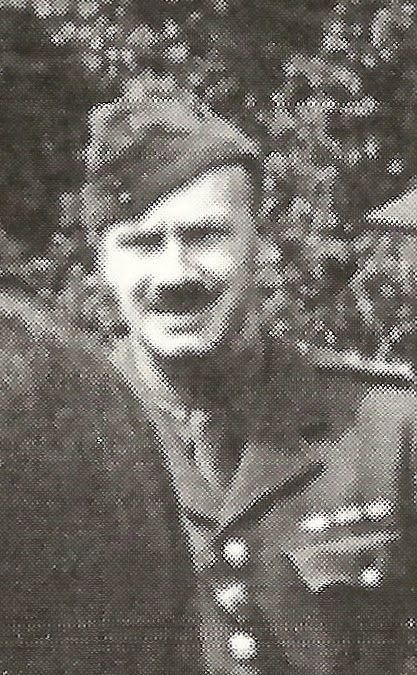 On 17 September, 1940, Douglas was re-commissioned into the British Army as a Lieutenant and ended up serving with the Intelligence Corps as an Acting Captain. With his previous military experience and business acumen, Stimson was placed in charge of Administration at Camp 020. While other officers interrogated suspected enemy spies, Stimson ensured that Camp 020 ran efficiently. On several occasions in June 1941, Douglas sat in on Josef Jakobs' interrogations. On 13 October, 1940, Douglas' mother passed away in Llandudno, Wales. She left her son just over £20,000 in her estate. Douglas seems to have remained at Camp 020 until the end of the war eventually rising to the rank of Lt. Colonel. What became of Douglas after the war? In April 1945, W.A. Stimson Ltd. served notice in The Gazette of the voluntary winding-up of the company. The winding-up took a couple of years and appears to have been completed in the fall of 1947. There is some evidence that the tailoring business of W.A. Stimson Ltd. still produced clothing well into the 1950s, although from a different address, 50 Maddox Street. Douglas passed away late in 1979, at the ripe old age of 82, in the town of Windsor, Berkshire, just west of Heathrow Airport. His wife, Lydia, passed away less than three months later, early in 1980. Genealogy websites - Ancestry, FamilySearch - births, marriages, deaths, census, passenger lists, World War I records.